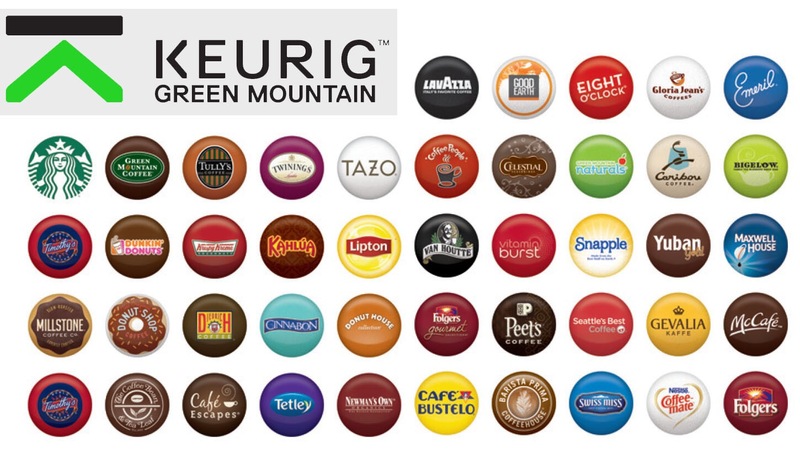 Keurig Green Mountain is at it again. A few months ago, they announced a partnership with Campbell Soup and now they are entering into the soda business. Just what I need, more sugar. 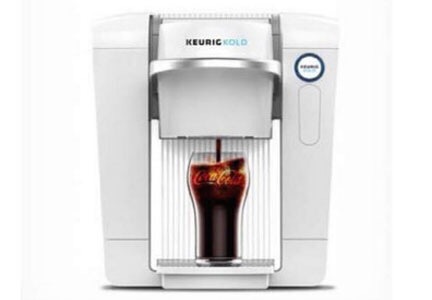 Keurig is introducing a dedicated soda machine called Keurig Kold (they use “K” like the Kardashians). Prices run from $300 to $370. Ouch, that is expensive! Keurig justifies the higher price because it eliminates the bulky CO2 canisters. The Kold machine also chills the soda, ice tea, and sports drinks, so no ice is needed. The company said the Keurig Kold produces a cold drink in just over one minute. 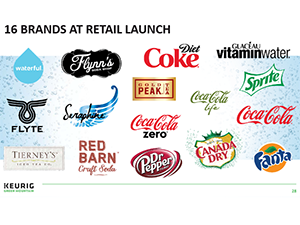 ( Coca-Cola, Sprite, Coke Zero and other Coca-Cola flavors, as well as Dr Pepper). Keurig has developed some of its own brands. Okay, this all sounds very exciting but my kitchen counter is already filled with all kinds of goodies. Keurig doesn’t want me to position the Keurig Kold in the kitchen. The company sees the machine displayed in the den, the family room, the bedroom, and the porch. Soda machines always have to be in the vicinity of entertainment areas. I haven’t tasted the Keurig beverage yet, but I’m willing to bet it will be adored by current Keurig users. Amen ! This entry was posted in digital, senior lifestyle, tech and tagged Keurig soda machines by loiswhitman. Bookmark the permalink. so glad we gave up drinking soda!